A boy was slashed across the head with a knife and another was punched and kicked during a fight outside Horsham Library. 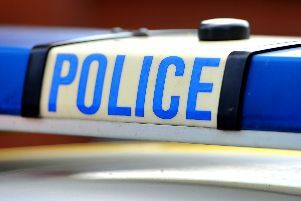 Police were called after a gang of boys started fighting outside the building in Lower Tanbridge Way, yesterday evening (January 2). Officers said when they arrived at about 6.30pm the boys had dispersed. Information was later received one of the boys suffered a knife wound to his forehead while another had been punched and kicked, police added. Neither was believed to have needed hospital treatment. The suspect for both attacks was described as a teenage boy with blond curly hair and wearing a tracksuit. Officers are hunting for the suspect and anyone with any information is asked to report it online at www.sussex.police.uk/appealresponse or by calling 101, quoting serial 1019 of 02/01. Alternatively you can call charity Crimestoppers anonymously on 0800 555 111.